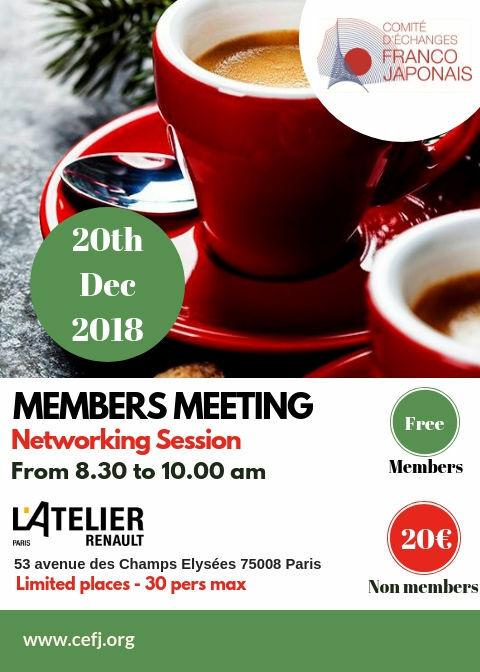 CEFJ's members meetings are the best moment to get fresh informations from french japanese business community, exchange with others members & meet new people ! Join us ! 8.30 : Introduction by Mrs Noriko Carpentier Tominaga, General Delegate.